If you're thinking about taking your workout to the next level or if you just need a little additional help "tweaking" your current workout, our experienced, NETA certified Personal Trainer would be more than happy to help you out! One on One Comprehensive Weight Management System. 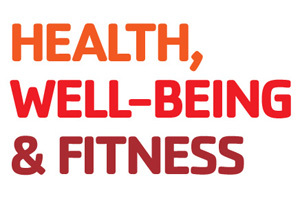 Work with a certified personal trainer to identify the proper lifestyle changes you need to make to meet your goals! Includes exercise and eating plan. My name is Phyllis Mammarelli I am the Senior Wellness Coordinator here at the Shenango Valley YMCA along with being a mom of 2 beautiful children. I am currently a NETA Group Fitness Instructor and Personal Trainer. 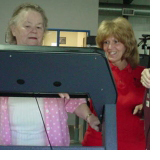 I am also a certified Balance Instructor, Specialist for Injury and Exercise Rehabilitation, and a SilverSneakers® Advisor and Instructor. Fitness has always been a part of my life. I have been involved with fitness for the past six years and have had the opportunity to work with people to build up their cardiovascular system and cardio respiratory endurance. I have also worked with people that suffer from osteoporosis, scoliosis, obesity, loss of muscular strength, increased lower back pain and joint problems. I enjoy teaching fitness at the YMCA. "Remember, eating well and exercising daily will give you more energy and lower your stress to let you enjoy life to its fullest!"